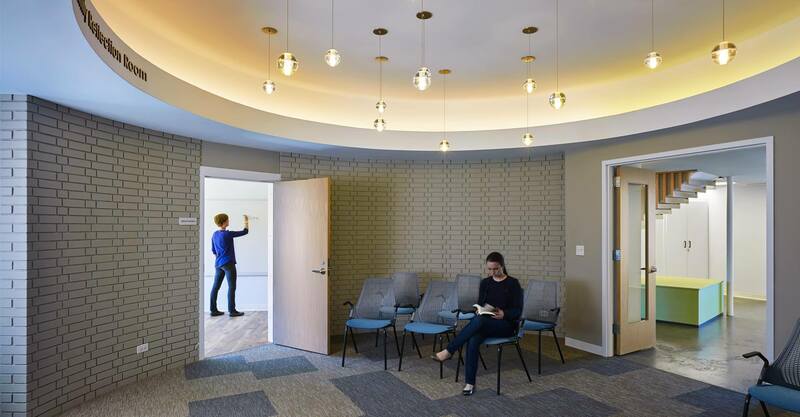 An existing 24-resident group home, formerly occupied by the Alexian Brotherhood, was repurposed as a 48-bed behavioral health residence for patients struggling with OCD, anxiety and substance abuse. The Alexian Brothers Foglia Family Foundation Residential Treatment Center serves as an important intermediary step between hospital treatment and immersion back into daily life. 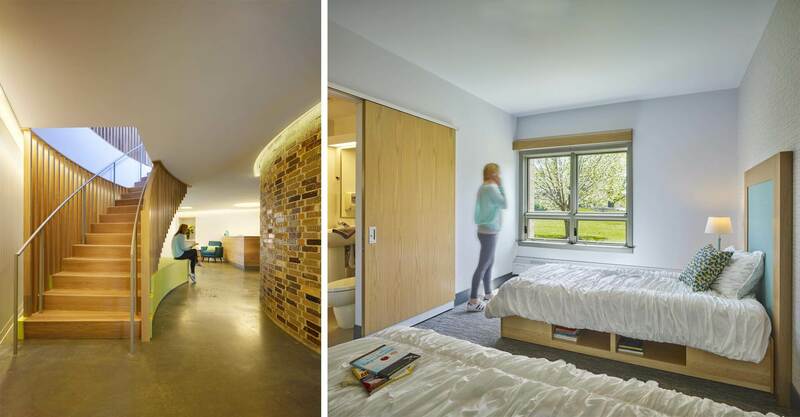 Patients can heal in a reassuring, thoughtfully-planned environment that is practical for behavioral treatment but does not compromise the residential and hospitality-like character of the design.